Oh well. It’s not as if anyone would have bothered Googling such a daft title, let alone understood it to begin with, so let’s just leave that remnant of the youthful time wasted reading about dead American Presidents in the set of encyclopaedias my parents bought back in the early 1980’s where it is and imagine there might be a debate to be had on whether the Munster final be played in Thurles or Limerick. Such a debate pivots on whether you think Thurles is a home-away-from-home for Waterford, to the extent that it negates any home advantage that Tipperary have. Back in the day I would have believed this to the case, and you could probably waste some time of your own locating worshipful comments on the subject in the archives of this blog. But like John Mullane my opinion has changed. If you suggest that it might be an advantage for Tipperary then you will be asked to quantify how many points it is worth to Tipp. This is the wrong way to look at it. Instead, imagine playing them one hundred times in a neutral venue. Then imagine playing them one hundred times in Thurles. Anyone who says the outcomes would be exactly the same is fooling themselves. And yes, it isn’t a real world experiment. But it illustrates the point that there is a small advantage for Tipp and, all other things being equal, Waterford shouldn’t be handing it to them. Of course, not all things are equal. There are myriad little reasons for preferring Thurles over Limerick. Traffic, parking, pre-match atmosphere, the venue (facilities and capacity), the prospect of making a few quid for the perennially cash-strapped Waterford County Board, the prospect of putting the kibosh on the our-turn-to-stage-the-big-dance entitlement of the perennially cash-strapped Limerick County Board. Depending on how much weight you put on it, any of those reasons could reasonably be enough to tip the balance in favour of Thurles. For me though, it’s a little reason that have tilted the balance against Thurles – I’m sick of the place. Since 2000 we have played 64 matches in the Senior Championship. 30 of them have been in Thurles. There’s nothing special about a trip to Tipp if you’re doing it an average of twice a year. Even Tipperary folk seem to feel the same way as they could only manage an attendance of 25,531 yesterday when combined with Limerick supporters – so much for Waterford fans being the ones who don’t travel in great numbers. Familiarity also makes you really appreciate the smug, self-satisfied air that hangs around Thurles like Lar Corbett marking Tommy Walsh. By all accounts Limerick is a bugger to get away from after a big match, but the way people bang on about Thurles you’d swear everyone is able to park right next to the greyhound stadium and zoom out of the town in their own ZiL lanes rather than having to pay to park in the mart, as opposed to getting a free space out by the golf course, and not get out for over an hour like happened to us at last year’s Munster final. Any crowd in the region of 40,000 is going to generate a lot of traffic, and half-baked tales about taking one of the 85 routes in/out of the town are not going to change that. The primary reason I want to play the game in Limerick is to not cede home advantage. Other considerations come a long way behind. But the sense of ennui with Thurles is real. The staging of games in Munster has become completely ossified, a sign of clinging to the halcyon days back around the turn of the century when every game had the potential to be 50,000-capacity sell-out. I was surprised to find out today that we have played a grand total of two Championship matches in Limerick in 50 years. Those games – Clare in 2008 and Cork in 1983 – ended badly. Time to make some positive memories as we bring morning to Waterford. 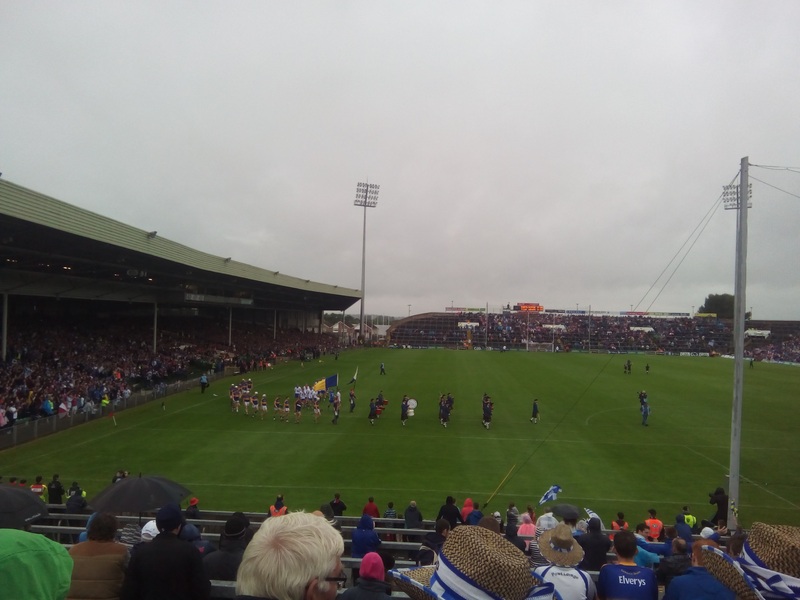 This entry was posted in Hurling, Munster, Waterford and tagged Gaelic Grounds, Thurles, Tipperary on 20/06/2016 by deiseach.